I’ve kept nearly 200 turtle species at home and in zoos, and have studied others in the field, but I none-the-less place the North American Wood Turtle (Glyptemys insculpta) in a class by itself. Alert and active, it has the well-deserved reputation as being among the most responsive (some say “dog-like”) and intelligent of all turtles. Add to this a beautifully-sculpted carapace and brick-red to bright orange/yellow skin, and it becomes easy to understand their popularity among turtle enthusiasts. 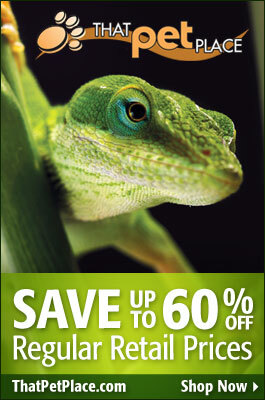 The following information will enable you to meet their unique needs…please post any questions you may have, and be sure to share your own experiences with this most captivating of reptile pets. Note: Wood Turtle populations have declined drastically. Please purchase only captive-bred animals, and never take turtles from the wild. The North American Wood Turtle ranges from Nova Scotia to Minnesota and Virginia. They spend a good deal of time in swamps, streams and along river margins, but also forage in fields and open woodlands. Wood Turtles drive earthworms to the surface with vibrations caused by stomping the front feet and plastron against the ground…the only turtle known to do so. They seem to do this without prior experience, yet it “seems” like a learned behavior. Uncovering the origins of this unique hunting strategy would be a fascinating project. Wood Turtles take very well to captivity and quickly learn to “beg’ for food when their owner appears. They seem to exhibit a degree of curiosity and problem-solving abilities not evident in other turtles. Wood Turtles consistently score higher than others on maze and reward-association tests. At the Bronx Zoo, I housed a group of adults in a large, tilted cattle trough. As soon as they saw that I was about to drain the tub’s water section, the turtles would move to the drain, jostling one another to get as close as possible. As the water flowed by, they would grab bits of leftover food. Each turtle would also very deliberately peer down into the drain once the tub was empty, apparently to check for missed tidbits. They checked all angles, and the intensity of their scrutiny seemed quite different from that of most other species. Wood Turtles reach 8 inches in length and are quite active. A spacious home is essential to their health and well-being. Adults do best in custom-made enclosures that measure at least 5’ x 5’ in area; outdoor maintenance is ideal when weather permits. Plastic-based rabbit cages and cattle troughs can also be modified as turtle homes. A pool of shallow water measuring 2’ x 2’ or larger should be available. In the wild, hatchlings frequent the shallow waters of bogs, swamps, flooded meadows and similar habitats. They are highly aquatic, but rather poor swimmers. The water in a hatchling’s aquarium should be of a depth that allows the turtle to reach the surface with its head without needing to swim. Floating plastic or live plants will provide security. The land area should be easy to access…turtle piers and cork bark platforms are ideal. Hatchling Wood Turtles can also be accommodated in an aquarium or plastic storage box that has been tilted to provide a water area on one side. Frequent water changes are essential to good health. Shelters are important to the well-being of pet turtles. Suitable hiding spots include deep substrates and commercial turtle huts. The ideal substrate is a mix of slightly-moist topsoil, peat and sphagnum moss, but there are many options. I always add dead leaves as well…Wood Turtles will occupy themselves with hunting for hidden invertebrates each time a new batch of leaves or grass clippings is introduced. Wood Turtles need daily exposure to UVB light. Natural sunlight is best, but be aware that UVB rays do not penetrate glass or plastic, and that fatal overheating can occur quickly. Your turtle should be able to bask within 6-12 inches of a high-output UVB florescent bulb, such as the Zoo Med 10.0. Mercury vapor and halogen bulbs broadcast UVB over greater distances, and also emit beneficial UVA radiation. Be sure to provide shaded areas as well. Temperatures should range from 70-80 F, with a basking site of 85-90 F. Incandescent bulbs may be used by day; ceramic heaters or red/black reptile “night bulbs” are useful after dark. Provide your turtle with the largest home possible, so that a thermal gradient (areas of different temperatures) can be established. Thermal gradients, critical to good health, allow turtles to regulate their body temperature by moving between hot and cooler areas. In glass aquariums and other small or poorly ventilated enclosures, the entire area soon takes on the basking site temperature. Low humidity has been linked to eye and ear infections and kidney disease in captive Eastern Box Turtles. This has not been documented in Wood Turtles, but overly dry conditions will likely cause health concerns. 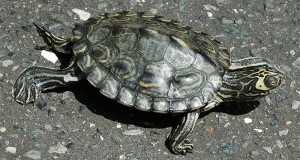 The substrate should be misted daily; moist retreats, a large water area, and a dry basking site must also be available. Females and youngsters usually co-exist, but must be watched as dominant individuals may prevent others from feeding. Males fight viciously, and often harass females with near-constant mating attempts. Young Wood Turtles are largely carnivorous. As they mature, they consume increasing amounts of plant material. Youngsters should be fed a diet comprised largely of whole animals. Earthworms, snails, and slugs are important food items. Food market and canned snails are excellent alternatives. Other nutritious foods include pre-killed pink mice, super mealworms, roaches, sow bugs, waxworms, grasshoppers, grubs, crickets and canned invertebrates. Canned or pelleted box turtle diets and/or moistened Reptomin Food Sticks should be mixed into most meals. 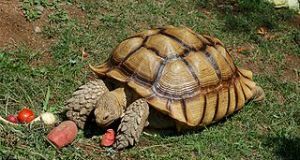 Approximately 50% of the diet for adult Wood Turtles should be as described above. The balance should be comprised of salads containing berries, kale, dandelion, yams, apples, pears, squash, mushrooms, carrots and other produce. The calcium requirements of Wood Turtles, especially growing youngsters and gravid females, are quite high. All food should be powdered with Zoo Med ReptiCalcium with D3 or a similar product (D3 is not necessary for turtles that have access to natural sunlight). A cuttlebone may also be left in the cage, although not all turtles sample one. Vitamin/mineral supplements such as Reptivite with D3 should be used 2-3 times weekly. Adults can be fed on alternate days, juveniles daily. Sounds like a nice situation…do they bury below \leaf litter etc? (I’ve had them hibernate outdoors under very little cover, interested to hear of your experience. I am very upset today. I had a trio of nawt’s and the male was having trouble this year. We live In northern California and had brought them inside due to some predator problems. He just stopped eating, no matter what was offered. He drank, the females are great. I had separated them to see if he was just fixated on the females. Still wouldn’t eat. This morning during his soak, he pooped, was still alert, about 10 min later he looked odd so I picked him up and he was hanging his head but responsive if I touched his feet. Then he died. I am devastated. Adults are impossible to find. I am praying he had already done his job, but them what? Do you have any thoughts on what went wrong? Sorry for your bad news.